Addicted to Pain Killers? Two Stories of Life and Death. 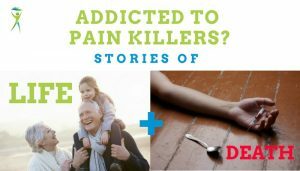 Home » Addicted to Pain Killers? Stories of Life and Death. At Barefoot Rehab, we pride ourselves on getting results (even if we have to battle the mind of someone who is addicted to pain killers). Sometimes, it gets hard to run a business, treat patients, talk to insurance companies, + continue to show up day after day. Then, when we get an email like the one below, we know we’re on the right path. I just wanted to thank all of you for your treatment of my lower back and hip. It is truly a reordering of my life to begin living without pain. In just three weeks, chronic pain of several years is gone due to the methods you employed. A big terrific benefit is I am now free of using pain medicine. Obviously I want to continue to live pain free and wish the best for all of you as your practice expands. Thanks again for your compassionate care. Chip is a husband, father, + grandfather. He loves to teach + be the life of the party. He desperately loves his family. His jokes are second to none. A few years ago, cancer almost took his life away. Living pain-free allows him to experience, without distraction, the renewed life he has to live. He lets his family know how much he cares for them on a fairly often basis. While Chip wasn’t addicted to pain killers, to have the added benefit of being off of pain killers only makes him healthier, allowing him to experience more days with the people he loves. 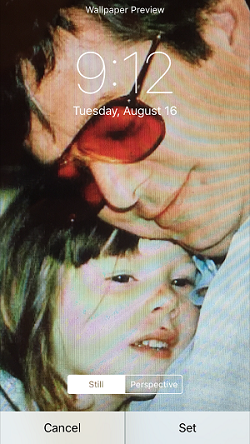 Katie loves her father immensely + wants him around as we continue to create a life for ourselves, with the hopeful thought of kids in our future. To have Chip be healthy + able to be present for his family without the stress + pain of life weighing on him gives us all opportunity to savor life. To be celebrated. What else is there besides today? Life feels like it desperately wants to be experienced wholly. What a shame for a flowers’ petals to open, but to never be digested through observation. Consumed in presence. Seen. Smelled. Felt. Its petals touched. Its environment heard. Being free of pain medicine is the benefit that touched me in Chip’s email. A week ago, Mike died from a heroin overdose. Mike went to my high school a few years after I did. I never knew him. But my older brother, Steve, did. Steve went to his funeral. I was with Steve before he attended. Steve was in his work clothes. “Its ok.” I told him. I was playing a video game. I kept playing video games. It didn’t hit me until I stopped playing. Steve has been clean for a few years now. Mike died from a heroin overdose. That’s scary. My brother could’ve died from a heroin overdose. What should you do if you’re addicted to pain killers? Chip’s email outlines one perspective on getting out of pain. Figure out the cause (adhesion) of the pain, remove it (adhesion removal), and then you can take the band-aid (pain killers) off. I am fully aware that this is easier said than done. There’s probably nothing I can say that would be all-inclusive of what it takes to beat that (or any other) addiction. Find your family, friends, + supporters. Hold on to them. Tell them what you’re struggling with. Let them come down in the hole to empathize with you. Let them help you climb out of the hole. While you may feel alone, you’re not. The people you love + who love you would do whatever they could to be there for you. If you don’t think they would, I am. At Barefoot Rehab, we are. Comment below or email me at drchris@barefootrehab.com. I’d do whatever I could to help you suffer less. As a four-person staff, we’ve spent the last few months creating, pondering over, feeling out + wordsmithing our purpose, values, + mission statement. We want to be more aligned as a team + forward-thinking as a health-and-happiness-producing practice. The reason why we wake up every morning is below. In Chip’s email, we read between the lines what health means to him. We observed how his family benefits because his grandfatherly love + wisdom gets to be around for a few more days, weeks, months, + years. If you’ve ever been in severe, constant nagging pain, you know how it affects your ability to focus + do anything. With less pain + medication, he is able to focus on what fuels him instead of what was in his way. Both his + his family’s world changed because of the reduction in his pain. Mike’s pain led to him seeking solutions in the form of a band-aid instead of seeking out the cause to his problems. Being addicted to painkillers led to a lack of health + an enormous earthquake in the lives of anyone that knew him. But I sure am grateful for the lesson he is giving me. 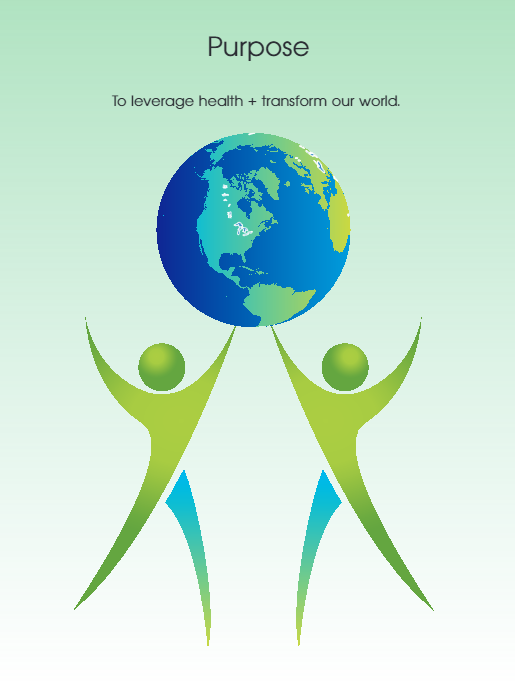 Without health, our world suffers. The song Lightning Crashes seems very fitting here. The lyrics are powerful. An old woman dies, as a new baby cries. Even when people are gone, they find ways to impact our lives. Do you know anyone addicted to pain killers? Were you? Please share if you’re comfortable sharing.